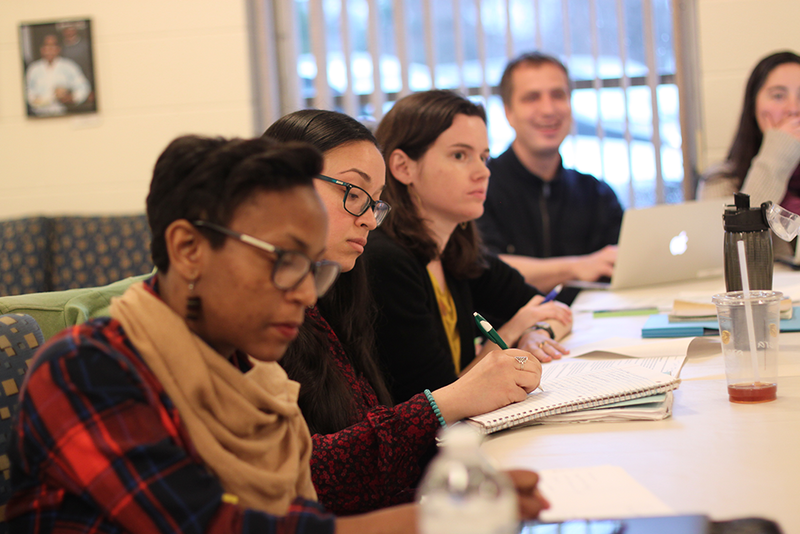 A writing course for D.C. area social justice teachers. D.C. area teachers have important stories to tell. The future well-being of our public schools depends on those stories being heard. This course is for D.C. area teachers who are eager to write about their own classrooms through a social justice lens. One Sunday each month, teachers meet to write and revise stories with the goal of each participant preparing a piece for publication. Teachers receive coaching through a variety of writing exercises, and participants provide ongoing feedback to each other. In addition, guest authors attend some of the sessions to share insights and experiences related to publishing stories about the classroom. As a result of writing and reflecting together, teacher participants deepen their own practice, build community among D.C. area social justice educators, and contribute to the all-too-scarce collection of published descriptions of classroom practice by teachers themselves. I have never thought of myself as “a writer” before. This class made me value my voice more and made me realize that I have something to contribute to the canon of writing about education and social justice. I felt energized and inspired by every teacher in the class. I was moved deeply by the courage and honesty with which people shared and proud to be among a squad of such committed, passionate teachers. I grew as a writer. This class was magical. It introduced me to other like-minded people, who shared the same passions in writing and education. I could not think of any better use of my time on a Sunday afternoon, than taking this class. A lot of the discussion reaffirmed the importance of focusing on the students, building our relationships with them and trusting our instincts as educators. The class gives you energy to keep fighting the fight. Learn more from the teacher reflections in the short video below about the course in 2015-2016 and a report on the closing event. The course will meet nine times: one Sunday each month from September to June from 4:00 – 7:00 PM. September 23, October 21, November 18, January 13, February 10, March 17, April 7 or 8, May 19, and June 2nd or 9th. The Stuart Center in northeast DC near Providence Hospital. A retreat like setting, about 10 minutes from the Brookland/Catholic U Metro. Most schools or school districts will provide pay for this kind of professional development. (If your school will not cover the fee, limited scholarships are available.) Graduate credit is also available from Trinity. Two credits for $250. Be a current (or recently) practicing teacher. Attend each of the nine sessions. Write for the purpose of publishing. Come to the first session with ideas for writing about your classroom from a social justice perspective. Write and give peer feedback in every session. If you are interested in applying for this course, complete the online application as soon as possible. Rolling applications accepted July 1-September 1. Email Faye Colon if you have questions.